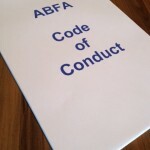 Good news for invoice finance users - according to the Telegraph, the ABFA (Asset Based Finance Association) has announced that it is to launch a new code of conduct for its members and a complaints procedure by January. This is positive for invoice finance users as it gives them an avenue to escalate complaints beyond their factoring or invoice discounting company. Kate Sharp of the ABFA was quoted in the Telegraph article as saying: "We receive only a tiny number of complaints from users about either the industry or its members." Nonetheless, a complaints procedure from the industry body can only be good news for factoring and invoice discounting clients. To read the full Telegraph article please follow this link: Asset lenders prepare to step up 'self-regulation? Of course if you are not happy with your factoring or invoice discounting company in the meantime you can always vote with your feet and switch providers! There are still plenty of highly reputable invoice finance companies with money available to lend, actively seeking new clients!